This recipe is not authentic to any particular cuisine, but it is delicious, simple to make, and just the thing for chilly winter nights. Boeuf Bourguignonne and Jamaican-style oxtail soup were the inspirations for this mash-up dish, an easy-to-assemble stew that rewards you with layers of complex, savory, spicy flavor. It’s best to prepare oxtails a day in advance, if you can. 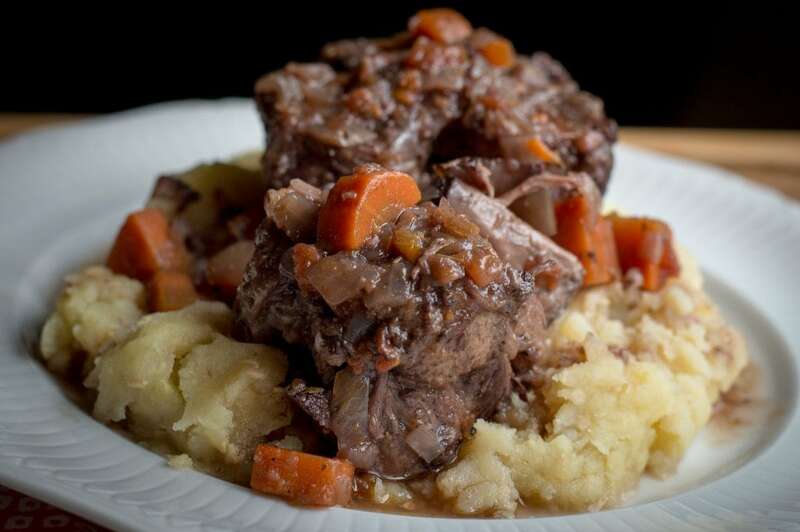 As the oxtails simmer, they will give up lots of collagen, along with a good amount of fat. 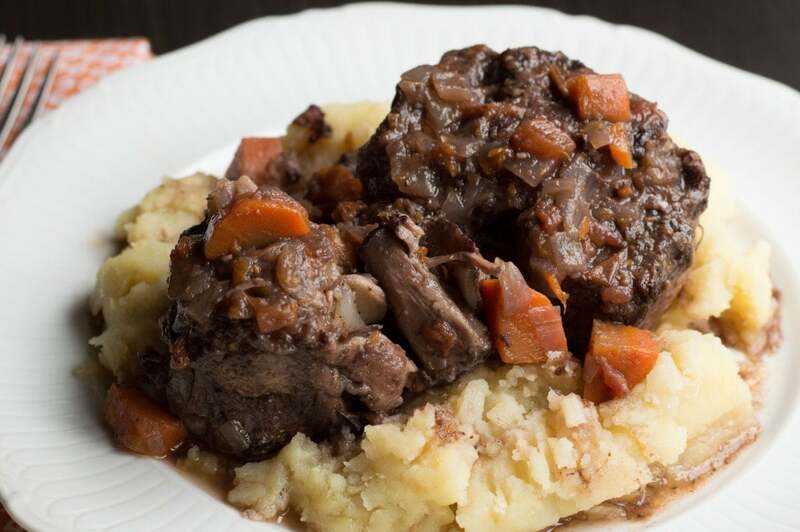 An overnight stay in the fridge allows the spicy, wine-y flavors to meld and develop, while the fat will rise to the surface of the stew, congealing in a solid layer on top. Once you’ve skimmed off and discarded the fat, the stew is ready to reheat and serve. This technique is well-suited to other cuts of long-cooking meat as well, such as brisket, short ribs, and shanks. Rather than trying to perfect the mix of spices on my own, I relied on a great blend from World Spice Merchants in Seattle. Their jerk seasoning is redolent with pungent allspice and ginger, along with a good dose of heat from dried habanero chiles. 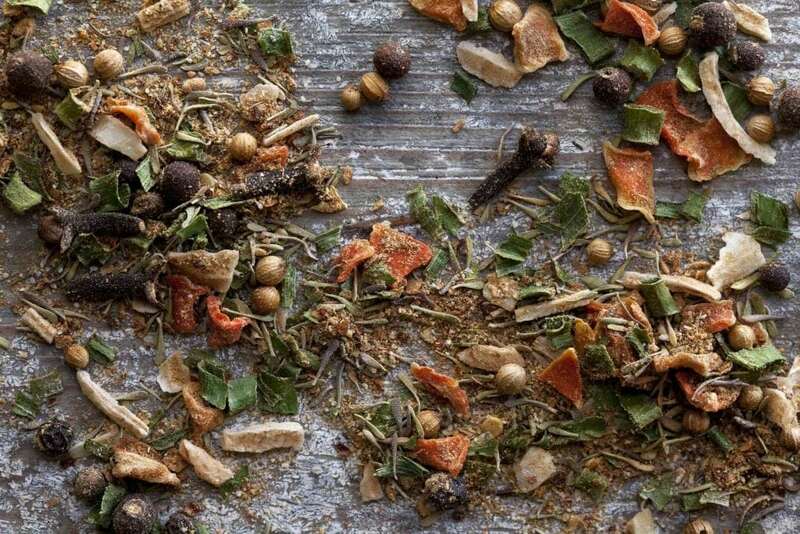 It’s ground to order when you buy it from their online store, ensuring you’ll get amazingly fresh flavors from a dried, packaged blend. If you’re using another brand, check the ingredients to make sure it’s salt-free, or adjust the seasoning of the recipe if it does contain a wallop of sodium on its own. You can serve this stew over just about any starch you prefer — cook up a pot of rice and peas, egg noodles, or my favorite, mashed potatoes. Any way you go, you’ll have a comforting plate of spicy, meltingly tender oxtails, at home on any table. Boeuf Bourguignonne and Jamaican-style oxtail soup are the inspirations for this mash-up dish, an easy-to-assemble stew that rewards you with layers of savory, spicy flavor. Heat the oil in a medium (5-quart) dutch oven or heavy-bottomed soup pot over medium-high heat. Sear the oxtails in two batches, taking care not to crowd the pan, browning them on all sides. Transfer browned oxtails to a plate and set aside. Add the onions, carrots, and salt to the dutch oven and turn the heat down to medium. Cover the pot, allowing the vegetables to sweat until the onions are softened and translucent, about 10 minutes. Uncover the pot, then stir in the Jerk Seasoning and Habanero Garlic Pepper, sautéing until aromatic, about one minute. Add the tomatoes and sauté for another two minutes. Add the oxtails back to the pot, then pour in the red wine and beef broth. Stir to combine, bring up to a simmer, then turn heat down to low. Cover and let simmer until oxtails are very tender but not falling apart, about three and a half to four hours. If you are making the stew in advance, chill it in the refrigerator until solid, then skim off the layer of fat on top. 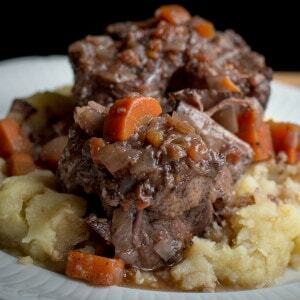 Rewarm the stew over low heat, then serve over mashed potatoes, rice, or noodles.